My apologies to all about this note at the beginning of the article but I have lost count of the number of times I have had people PM me looking for fault-finding advice but without any idea of what is causing the fault on their conversion because they do not have a means to interrogate the ECU/immo. Please get either a copy of VAGCOM/VCDS or a reliable fault reader before starting the tdi conversion. I have finally decided to tackle the write-up of the information that I have collected for this part of the 1.9 TDI conversion in the hope that it may be useful to others. I have opted divide this into 2 parts. In this first one I will cover the wiring and connectors you need to keep for the fusebox, brake switch, immobiliser, etc. 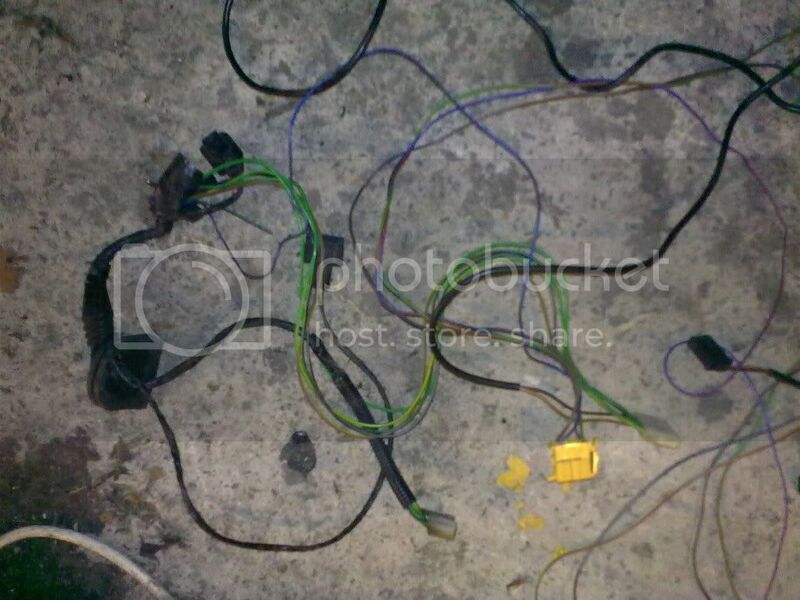 The basis for this write-up is an engine bay wiring harness from a 1997 VW Golf 1.9TDI 1Z/AHU engine code with the Bosch 68 pin ECU. However, much of the info (including wiring colour codes) is applicable to other donor vehicles and engine codes. 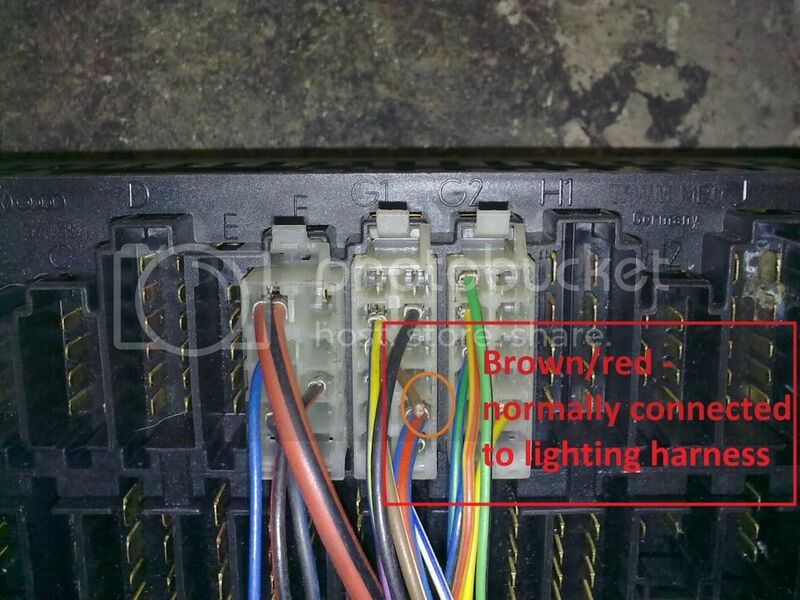 Although, I should mention that some (but not all ) SEAT vehicles use a different colour coding scheme, the wiring will be the same and can be checked using a multimeter between the ECU connector and the signal wire in question with the info below. So what connectors and parts of the wiring harness (loom) do I need to keep and what can I throw away? 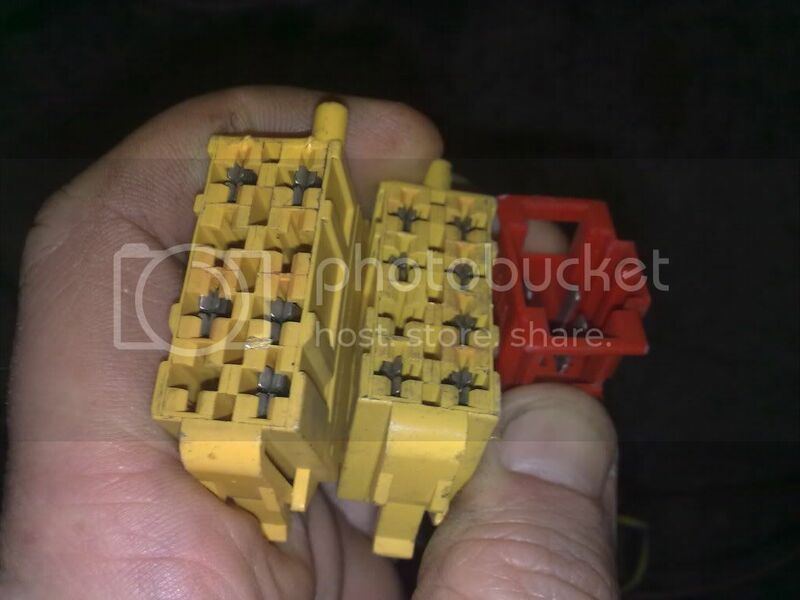 The easiest thing to do is to identify the connectors outlined below and remove all others and strip the wiring to them out of the harness/loom as they will not be required. A basic rule-of-thumb is: if it doesn't lead to the ECU or one of the associated sensor connectors or engine, you don't need it! For the Golf engine bay harness, having spread it out on the floor along its length, you will see that the ECU connector, engine circular multiplug and associated sensor connectors are at one end. At the other end, is the Golf lighting/horn/etc. circular multiplug and harness on its own. 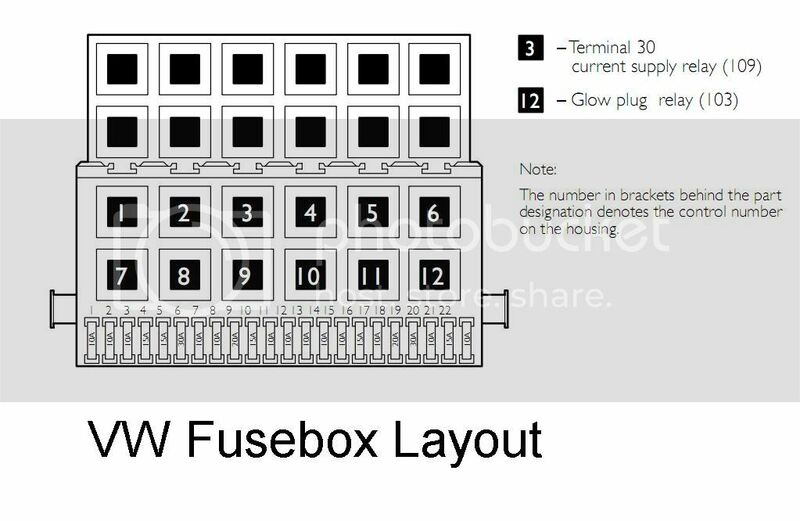 All of the fusebox connectors are about 1/4 of the way along the harness from the circular lighting multiplug. 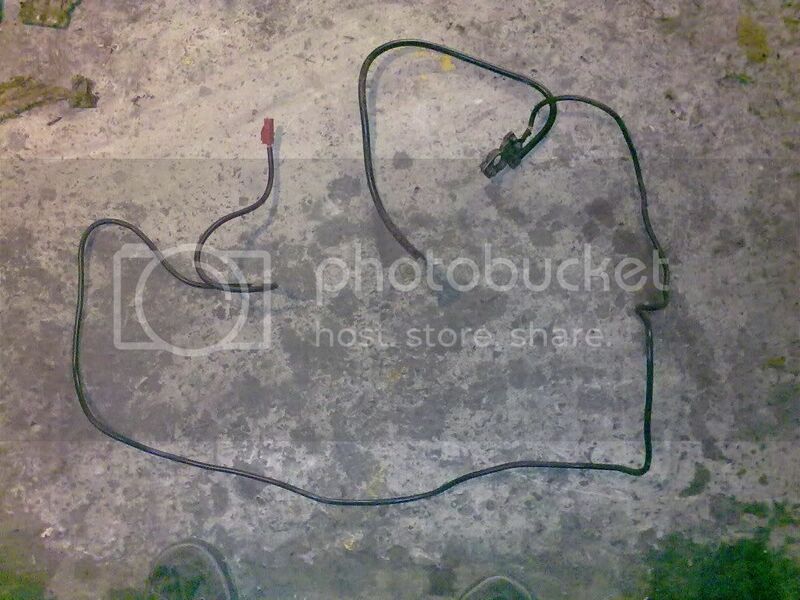 This multiplug and harness is connected electrically to the rest of the engine bay harness only by means of a series of ground wires (plain brown) which can be cut but we'll come to that later. The easiest thing to do at this point before cutting any wires is to start slicing the harness tape along its length (or simply unravel it if you like - I found it easier to slice open however) around the 'A1' and 'A2' multiplugs (they will only fit in locations A1 and A2 on the fusebox) and the red 4 pin connector (shown in the picture below). Once you have opened the tape and removed it, tease these three plugs loose (otherwise read: 'untangle while cursing VW to hell') from the rest of the wiring and connectors. Having done this you will see that all that connects this part of the harness to the rest is two/three brown ground wires and a single brown/red which connects to pin 5 of connector G1 - these can be cut, safe in the knowledge that the remnants will be removed later - see Pic.7 of fusebox and connectors below noting pin 5. Once this has been removed you will be left with a harness that has fusebox connectors at one end, and engine connectors at the other. So, working your way along (towards the ECU connector) slice the tape open until you reach the end of the heavy positive lead (it has a heavy eyelet and battery connector attached to it) shown below - this is the main supply from the battery to the fusebox but your van will have this already, so it's not needed. This can now be lifted clear of the main harness. 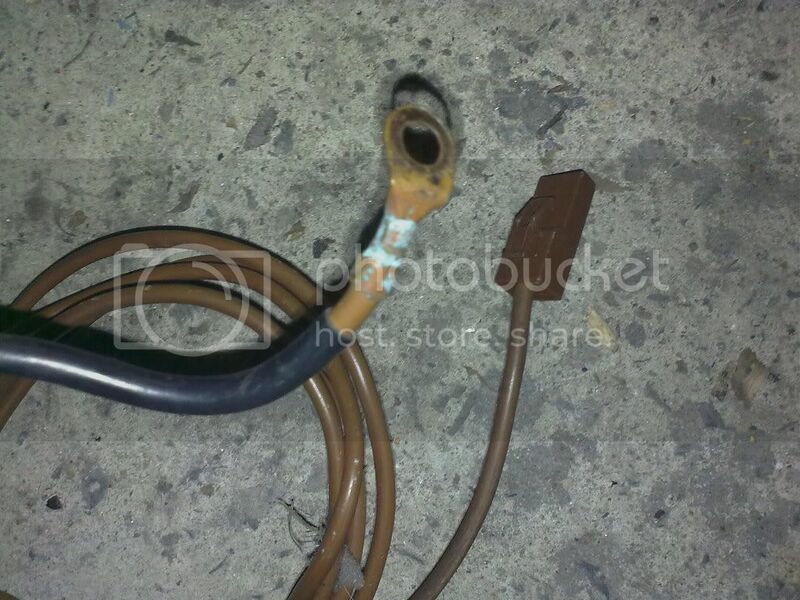 The next step is to remove the battery ground lead -ve which is mainly connected to a series of brown wires which are not associated with the engine control. Starting at the fusebox-end locate the heavy brown wire with the spade connector on it as shown below. Tease this out of the harness all the way to the end until you are met by a piece of clear heatshrink. The brown lead enters this and emerges the other side as a black lead with a lug which is normally connected to battery -VE NOTE DO NOT REMOVE THE OTHER BLACK LEAD (also with a lug) THAT GOES TO THE ECU CONNECTOR you will need this! 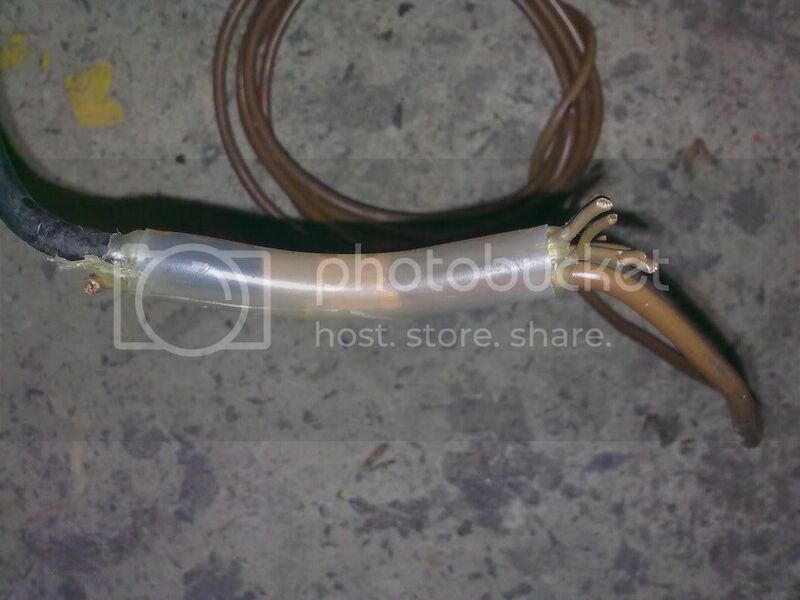 You will see that it is connected to 6 other smaller brown wires in the heatshrink as shown below (except that I have cut these down in the pic but you can see the stubs). 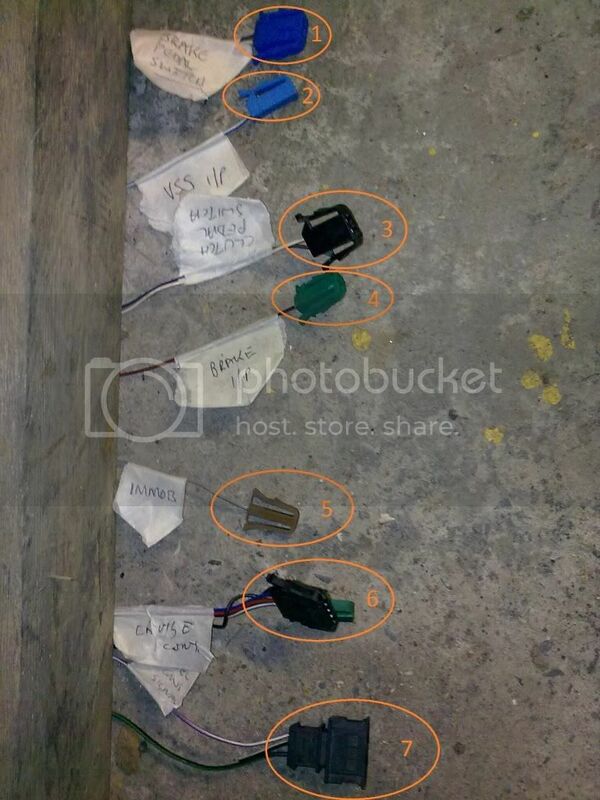 Some of these will have previously been connected to the lighting circuit that you cut earlier (remember?). Lift as much of this whole mess out of the harness as you can. You will notice that some of the small brown wires are connected to the next bit of harness that we are going to remove so snip them away. The last bit of unused harness to be removed is shown in the pic below. It basically involves the steps described previously. I have no idea what this stuff originally was used for as I did not remove the harness from my donor vehicle and I just havent had the time to check the circuit diagrams out to find out where they should've been. Suffice to say they are not needed and can be cut out. Getting back to the fusebox connectors locate multiplug 'C' and tease this out of the loom. 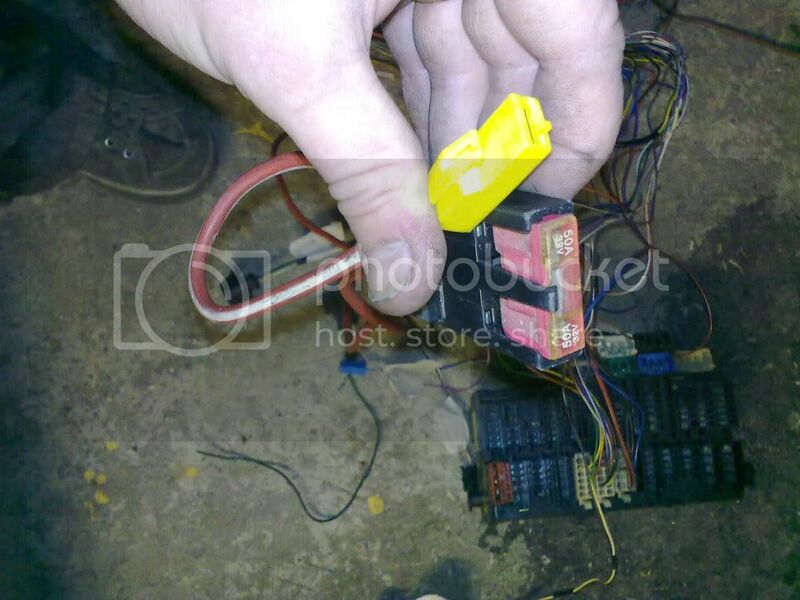 You will find that it is connected to the mess illustrated below which can all be lifted out of the loom including the 2 white connectors with the green wires which were originally connected to the wiper circuit in the Golf. This is connected to the ECU and must be triggered at the same time as the main vehicle brake light signal (see 4 below ). It is used by the ECU to reduce the injected fuel quantity under braking as well as deactivate cruise control. Used to assess the vehicle speed, and is fed through from the instrument cluster. This signal is used to maintain vehicle speed when cruise control is activated. engine shudder when changing gear. Also used as a signal to deactivate cruise control if currently active. This signal is used in conjunction with the brake pedal switch above to reduce the injected fuel quantity and hence as a safety interlock to over-ride a faulty throttle position sensor. It is connected to the brake light switch (switched side) via junction box TV11 on the golf fusebox. No actual provision is made for this on the T4 harness but it can be connected directly to the switched side of the T4 brake circuit (either: (1) pin4 connector W (2) pin4 of connector K or (3) pin3 of connector 'E' on the fusebox whichever is most convenient). If your car has an immobiliser it will be connected to this line and then via a loop-through to the OBD 2 socket. 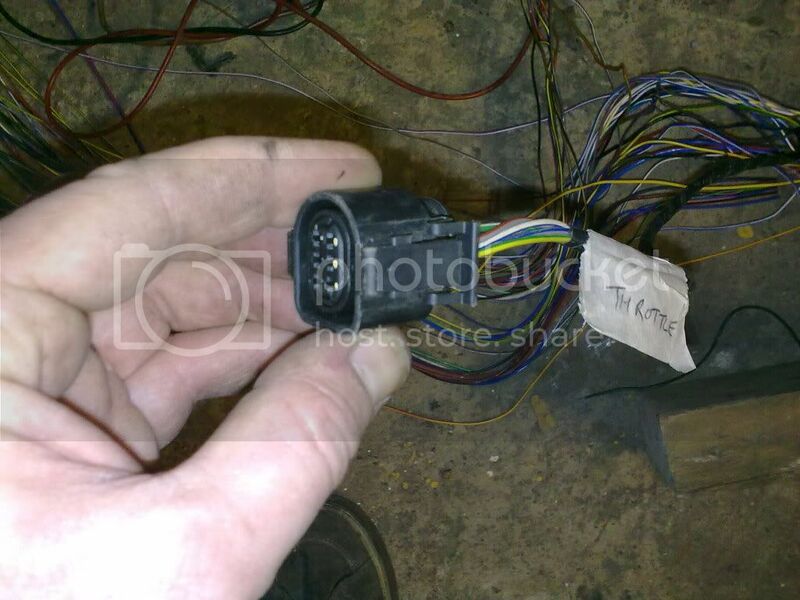 If you do not have an immobiliser (pre 1995 vehicles) this is connected directly to the OBD 2 socket. if you retrofit cruise control, connect the cruise control harness to this connector and enable the ECU. This is connected to pin 9 of the ECU and is a PWM signal which is generated by the ECU based on the amount of fuel injected at any given instance. It is used in conjunction with the VSS (vehicle speed signal) by the high-end instrument clusters to calculate Miles-Per-Gallon. This wire can be omitted if you do not have an MFA (multifunction display) cluster, (or do not intend to install one in the future). When separating the lighting harness from the engine one you will need to cut the wires that lead to pins 2 and 3 of this connector. 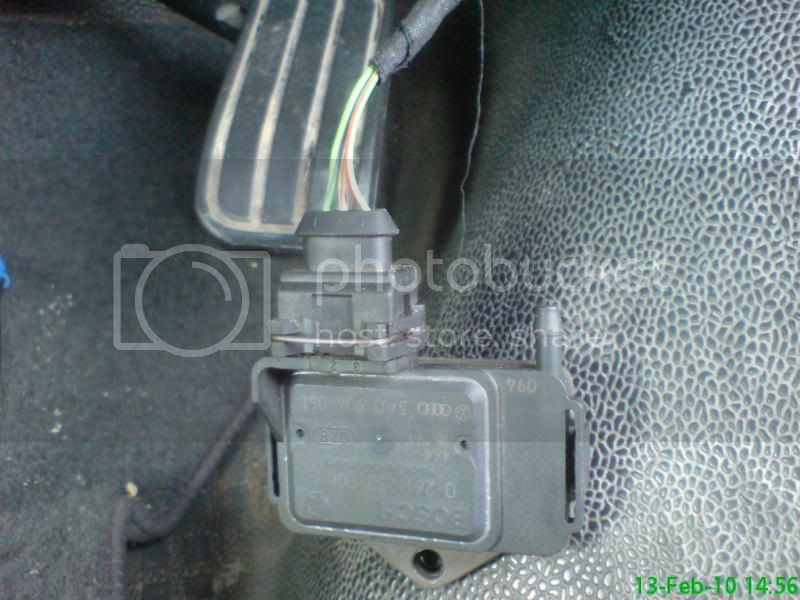 Note: this signal/connector may be missing in some donor vehicles, so don't be too-surprised if you can't find it! ** One important note here is that if your engine/wiring harness was sourced from an older vehicle (pre '95), there will also be an extra connector and sensor to look out for called a barometric pressure sensor, which lives in the cabin also. The sensor and connector are shown below. This sensor is used by the ECU to adjust fueling and EGR levels depending on the geographical altitude of the vehicle - i.e air is less dense at higher altitudes so fuel is adjusted accordingly. This sensor is built into later >'95 ECUs and should not concern you if your donor vehicle was manufactured in 1995 or afterwards. So now that I have the necessary wiring sorted do I need to change anything else? Firstly you will need to change the relay in position 12 of the T4 fusebox from '104' to relay '103' that came with the Golf. You will also need to add the '109' relay (ECU +12V / "terminal 30" supply) to the empty position 3 of the T4 fusebox. See diagram below. 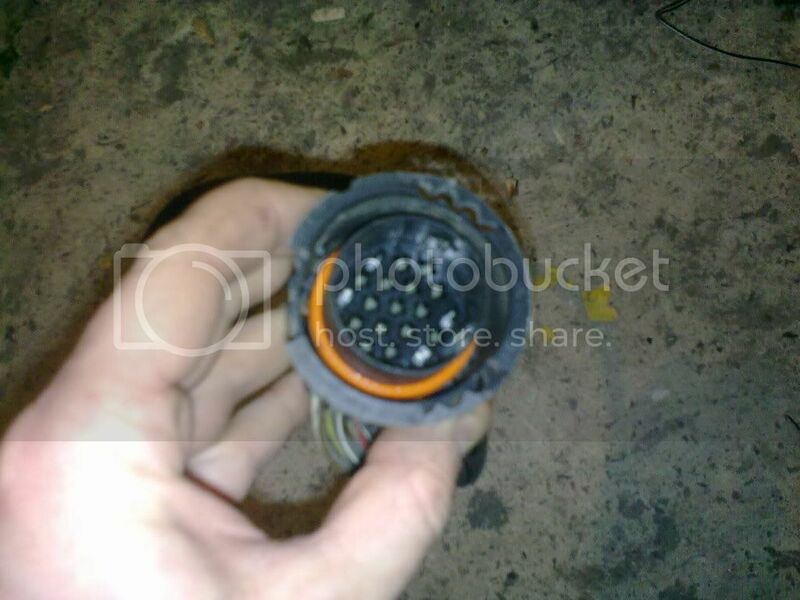 This is the most important part of wiring for the 1.9 TDi. I will try to cover the remainder (minor modifications etc) when I finally get around to gathering all of the details together and try to find the relevant photos. Hope this is of help. Your a god send!.I've finally started mine this weekend.I'm half way through removing the t4 engine having already stripped the golf's bits.The wiring was the main bit i wasn't looking forward to .Hope to read the second half of this post soon. yet again matey you are a star. a vast wealth of knowledge helping all of us in some way or another and for this i personally thank you. My donor is here now and i'm gonna be stripping it down in the near future. Does anyone know if the cruise control mod is as easy as that for the Mk4 golf - ie new stalk, loom and an ECU tweak with vag-com?